Chrystall recently wrote about her newfound passion for nettles as a superfood and using nettles in cooking, a plant often wrongly hated on for being an annoying weed one should destroy or at the very least stay well clear of. Nettles are nutritious, contain tons of vitamin C, iron and protein (up to 25% of its dry weight) and the sting can easily be neutralised by boiling or frying them. But I’m not here to talk about nutrition. I’m here to indulge in a little chemistry bordering on magic. We’re going to turn young spring nettles, which are abundant here but under-used, into a delicious sweet wine we will enjoy with friends in our garden this summer. The idea came naturally from the fact we are surrounded by nettles and we also love a tipple here at Great Things To Do HQ. In fact mum used to make all sorts of wines when I was a kid including a delicious pea pod wine. It was so good that a little later in my late teens I would smuggle a bottle or two out of our cellar to drink with my friends who instantly revered me as a god but I somehow feel mum may see it differently. I also recently discovered that my late grand-father used to make nettle beer. This makes me particularly happy as it seems this passion for home-made goodies runs in the family. It is suggested that Celts as far back as the bronze-age made nettle beer. In fact the addition of hops to flavour beer wasn’t always and nettles used to be one of the primary herbs used to flavour beer prior to hops. The 15th century Herbarius Latinus describes nettles in wine as an aphrodisiac. Well that's even more of a reason to make some! Summer of Love 2018... here we come! Well in this first part we will discuss phase one and we'll aim to make two gallons (or nine litres) of finished product which will be ready this summer. A little patience is required like with all good things in life. First, you'll need Nettles, either young shoots or the tip of the more mature plant. Always be careful when foraging that no pesticides or weed killer were sprayed and also beware if it’s an area for dog walkers as you may very well end up with wine spiked with dog urine. Not at all what we're trying to achieve here! In order to produce nine litres or two gallons we picked one kilo of young spring nettles. Make sure you use thick garden gloves and protect your forearms. It's not lethal but can be quite uncomfortable if you get stung. 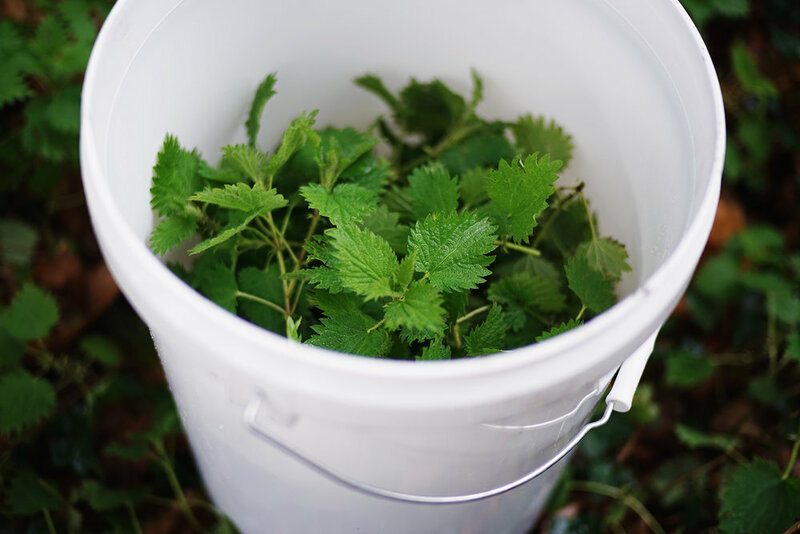 Rinse the nettles to get rid of unwanted insects and to give them a little wash.
You'll also need 9 litres of water, 3kg of sugar, four lemons and a four-five inch long piece of ginger. Peel the non-waxed lemons (avoid the pith / white layer under the skin as it's bitter) and squeeze all four of them. Peel your ginger and chop it roughly. We use a large 20 litre heat-proof and food safe bucket in which we place all the nettles, ginger, lemon juice, zest and sugar. 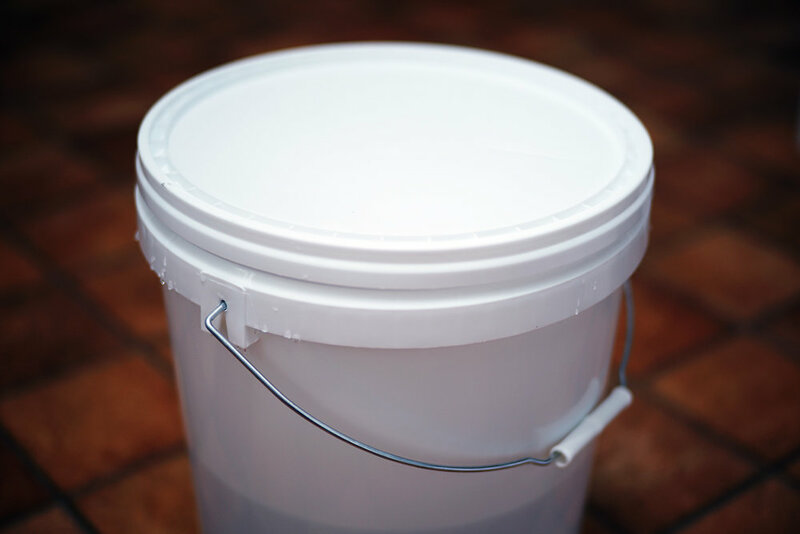 Now boil nine litres of water which you can pour straight into the bucket ensuring the sugar is fully dissolved (The sugar will turn into alcohol once we add yeast but this will be discussed in the next article/phase). This giant soup also known as "the must" will infuse for 2 to 3 days. We will soon be back for part two of the process! How can I grow vegetables indoors under lights? Read this little starter guide Nico put together! We will share more advanced techniques as the year goes by. Beetroot is a wonderful ingredient with a multitude of uses. Here are some recipes and great things to do with beetroot. Try this beautiful recipe for a banana cake. Peanut butter cream cheese frosting takes it to the next level of deliciousness! 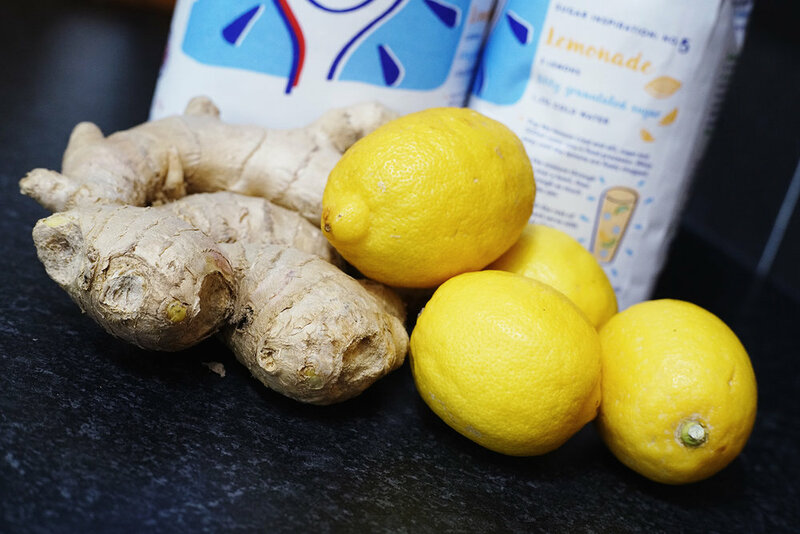 Looking for a nourishing early spring recipe? Nettle soup to the rescue. They may have a pesky sting and grow like weeds but using nettles in cooking is simple, delicious and nutritious! Primroses make for the most perfect edible flowers for cakes. Crystallised Primroses are one of the easiest things to make and can really take your Easter bakes to the next level.